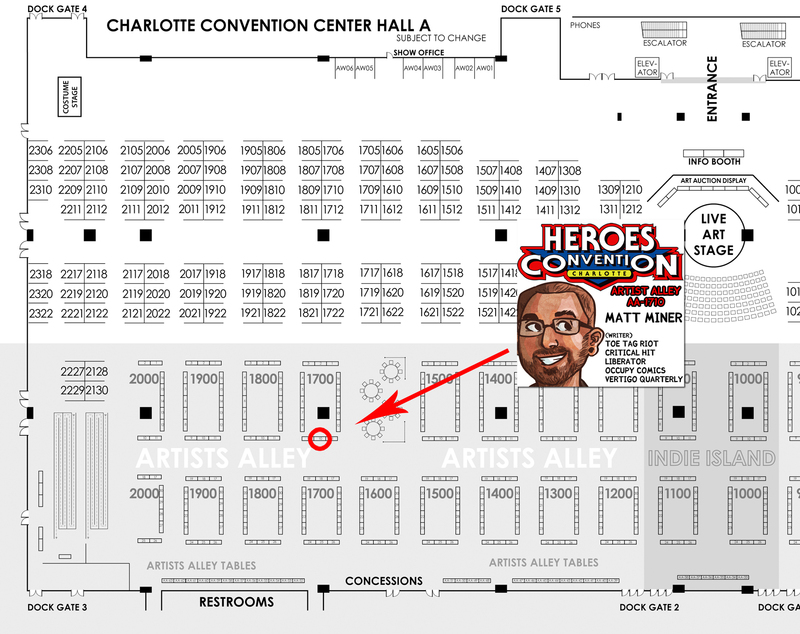 I’ll be at Heroes Con this upcoming weekend from June 19-21 and I’ll be set up all weekend in artist alley, so stop by and say hi! I’ll be happy to sign books or sell you new ones or both – super excited to be doing this show for the first time! ← Critical Hit Volume 1 Trade Paperback available for Pre-Order!